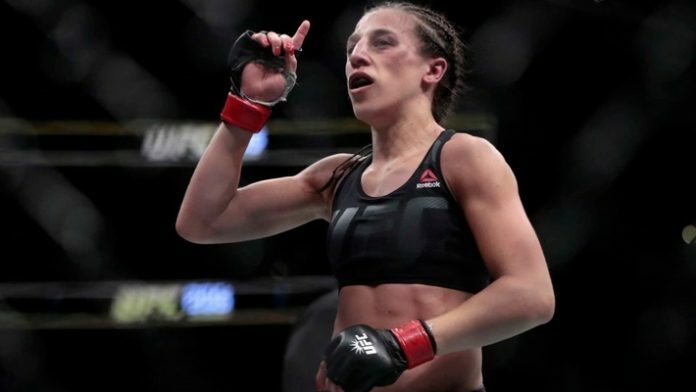 “It was a good decision to move up because now I can see the difference…when you can fill your body with the right ingredients, when you can be heavier, be faster, you recover better, and the training can be more effective.” Jedrzejczyk said on TSN SportsCentre. If Joanna Jedrzejczyk is able to become the first female to win a world championship in two different weight classes in UFC history, she believes that this, along with her dominance at 115, would make her the greatest female competitor in the entire history of the sport. Do you agree with Joanna Jedrzejczyk? Would she become the GOAT in women’s MMA with a victory over Valentina Shevchenko at UFC 231?